Use in the repair of damaged hatchet handles. High durability and superior performance. 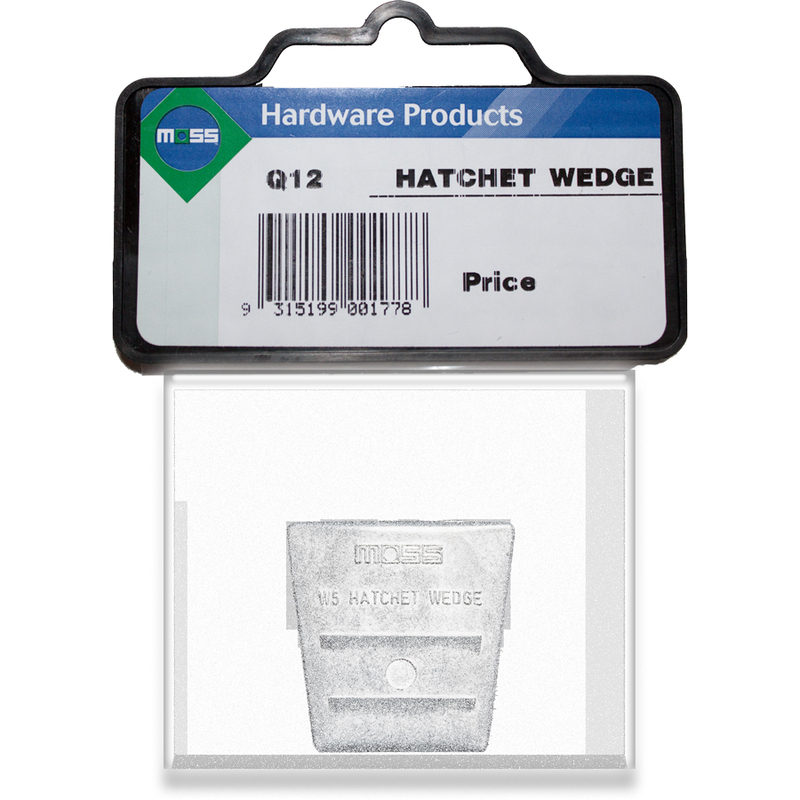 Moss Hatchet Wedges are used when repairing and replacing damaged handles on hatchets. 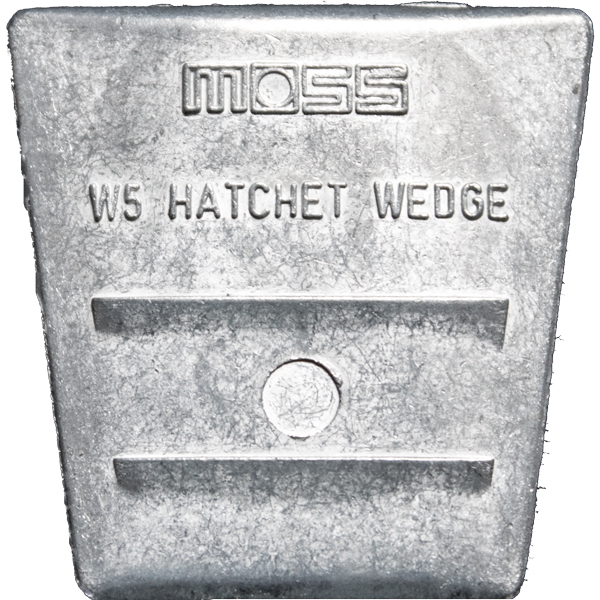 Moss’s hatchet wedge provides a secure and safe attachment of a head to the handle. Ideal for handyman and builders. 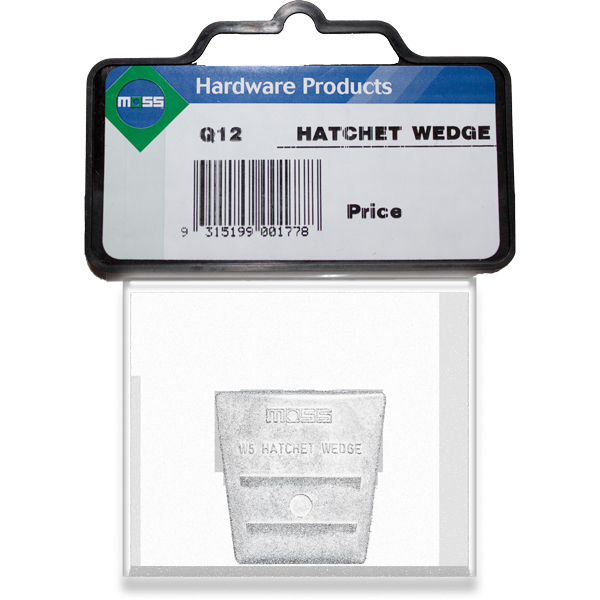 Moss Hatchet Wedges offer high durability and superior performance. The hatchet wedges are die cast under extreme pressure, which results in a very uniform material cross section void of internal defects, therefore creating a very consistent product with regard to finish and strength. Packaged as a single unit. Moss wedges have been consistently used in the repair of damaged wooden hatchet handles for the past 50 years.